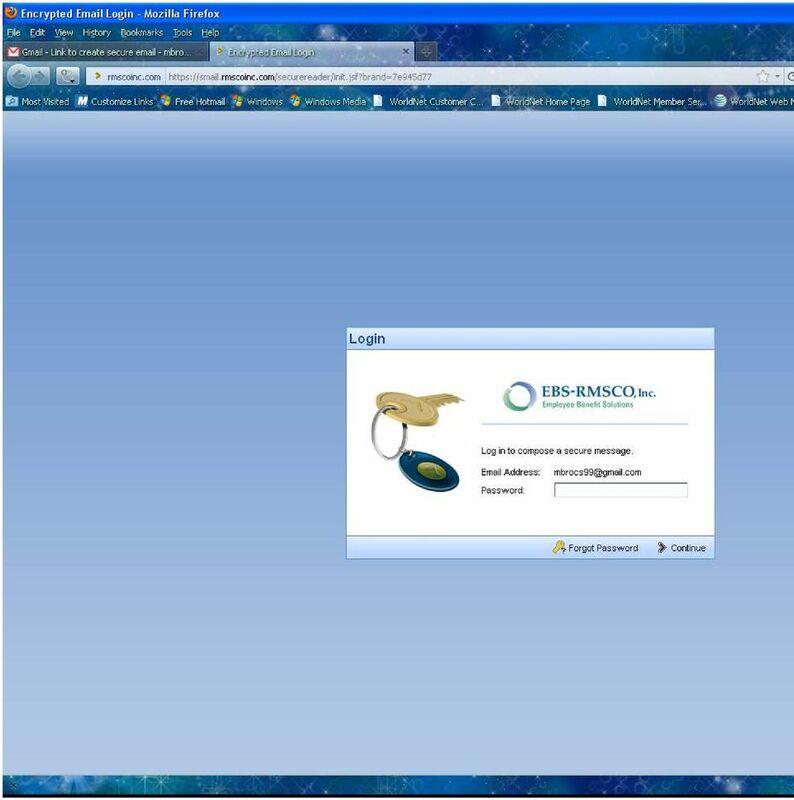 Proofpoint provides the capability for external users to send secure/encrypted s to EBS-RMSCO employees. 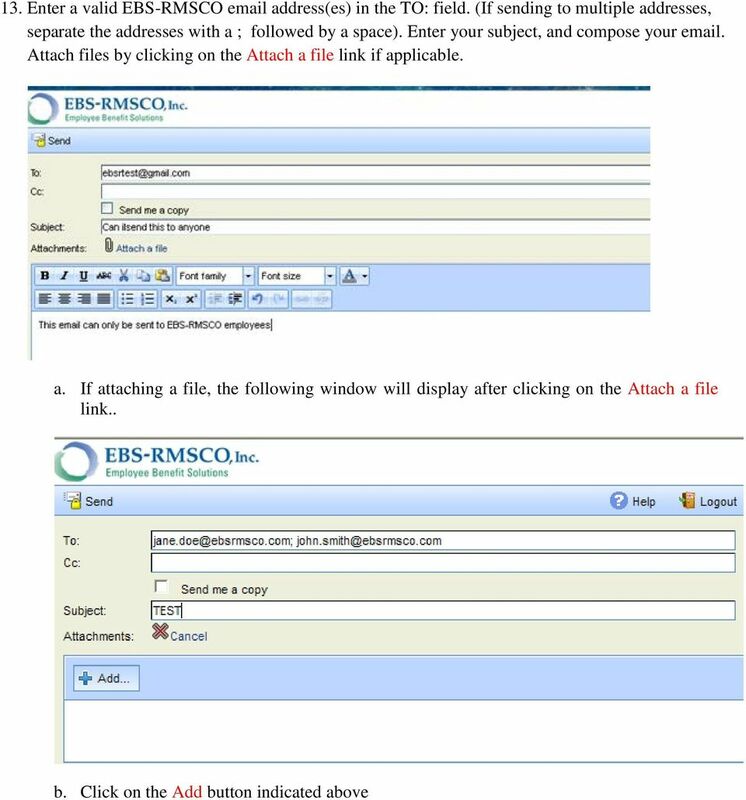 Download "Proofpoint provides the capability for external users to send secure/encrypted emails to EBS-RMSCO employees." 3 6. 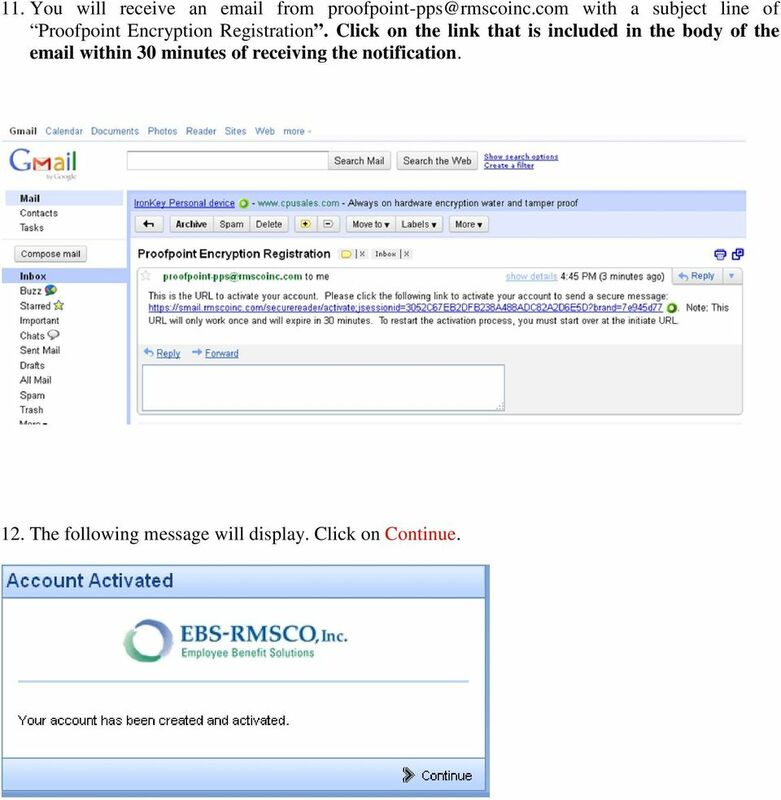 You will then need to assign yourself a password to be used when logging into the system to create encrypted messages or to read encrypted messages from this point forward. 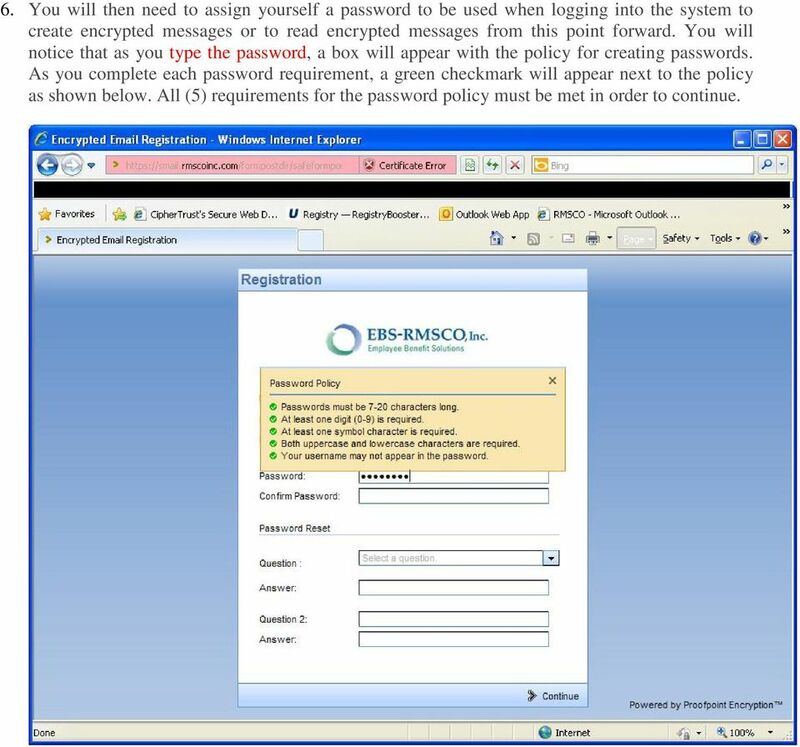 You will notice that as you type the password, a box will appear with the policy for creating passwords. As you complete each password requirement, a green checkmark will appear next to the policy as shown below. 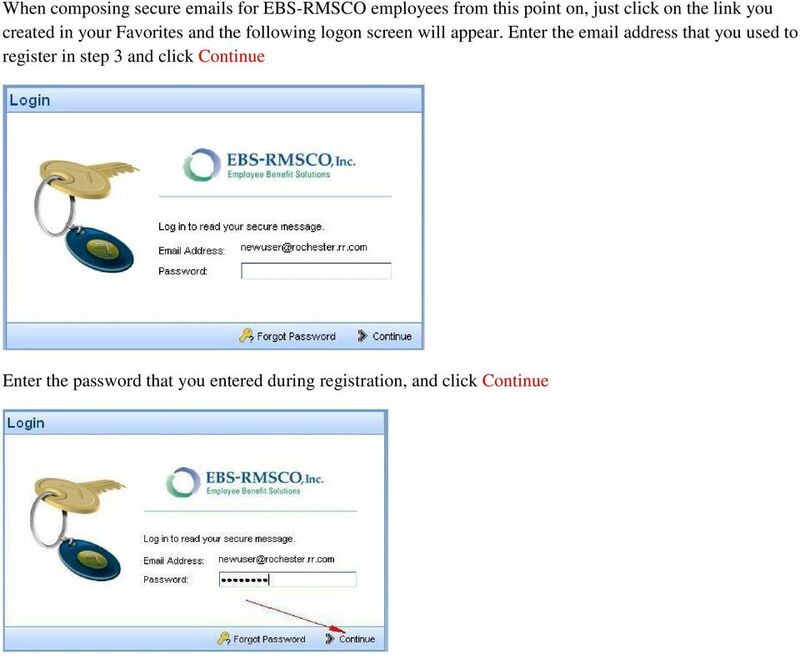 All (5) requirements for the password policy must be met in order to continue. 4 7. 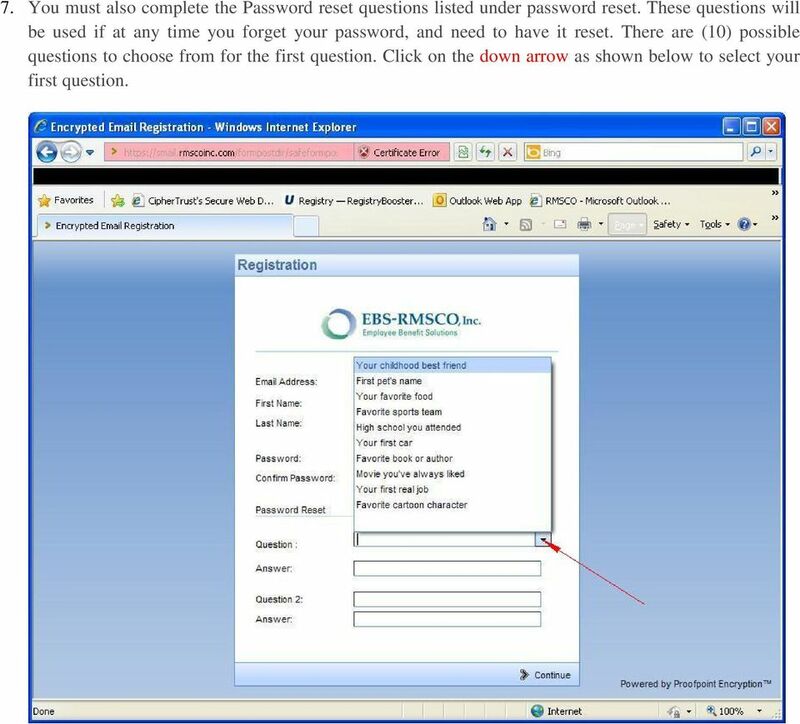 You must also complete the Password reset questions listed under password reset. These questions will be used if at any time you forget your password, and need to have it reset. There are (10) possible questions to choose from for the first question. Click on the down arrow as shown below to select your first question. 6 11. 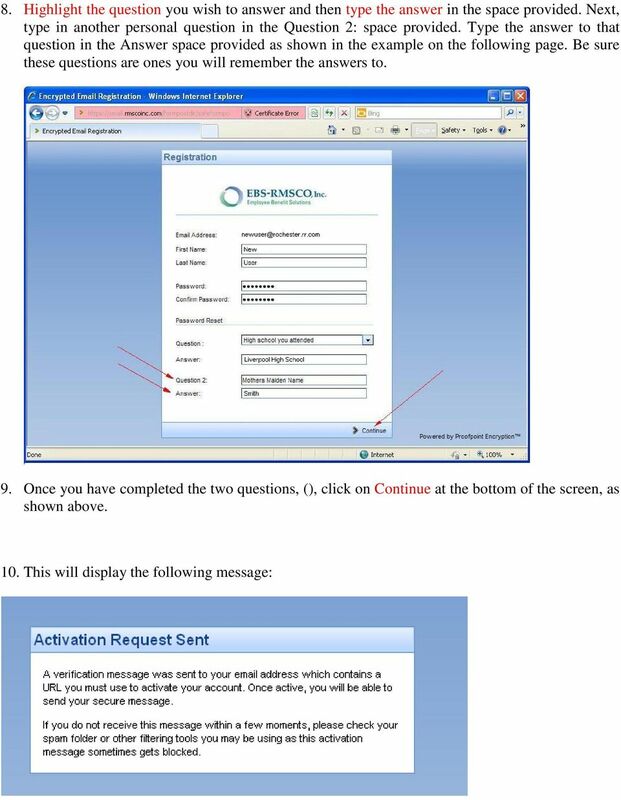 You will receive an from with a subject line of Proofpoint Encryption Registration. Click on the link that is included in the body of the within 30 minutes of receiving the notification. 12. The following message will display. Click on Continue. 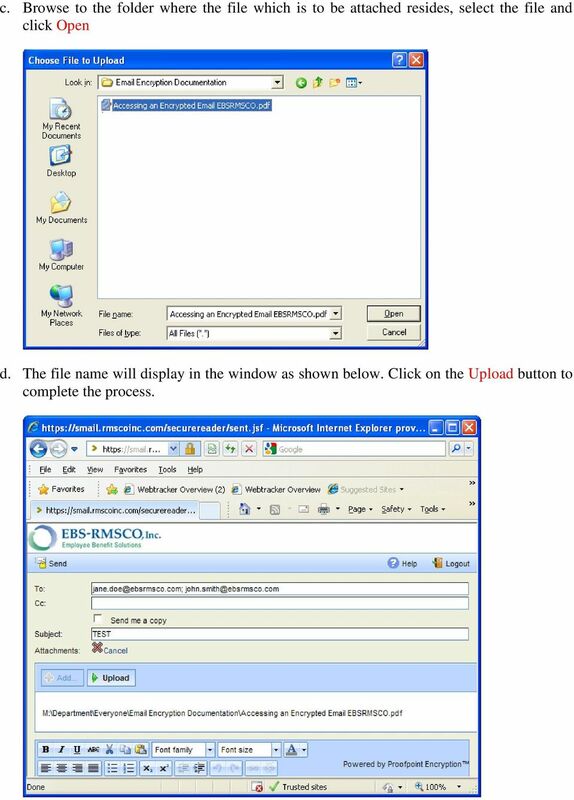 8 c. Browse to the folder where the file which is to be attached resides, select the file and click Open d. The file name will display in the window as shown below. Click on the Upload button to complete the process. 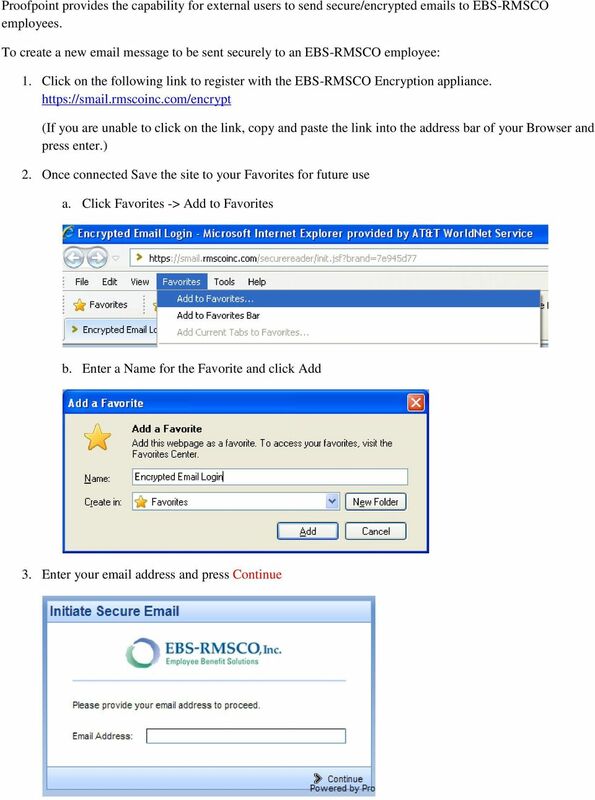 9 e. The attached file will display next to the Attach a file link. 14. Click Send when completed. Please note: If you select Send me a copy, a copy of the will be sent to you encrypted. 15. The following message will display to confirm that the was sent successfully. 16. 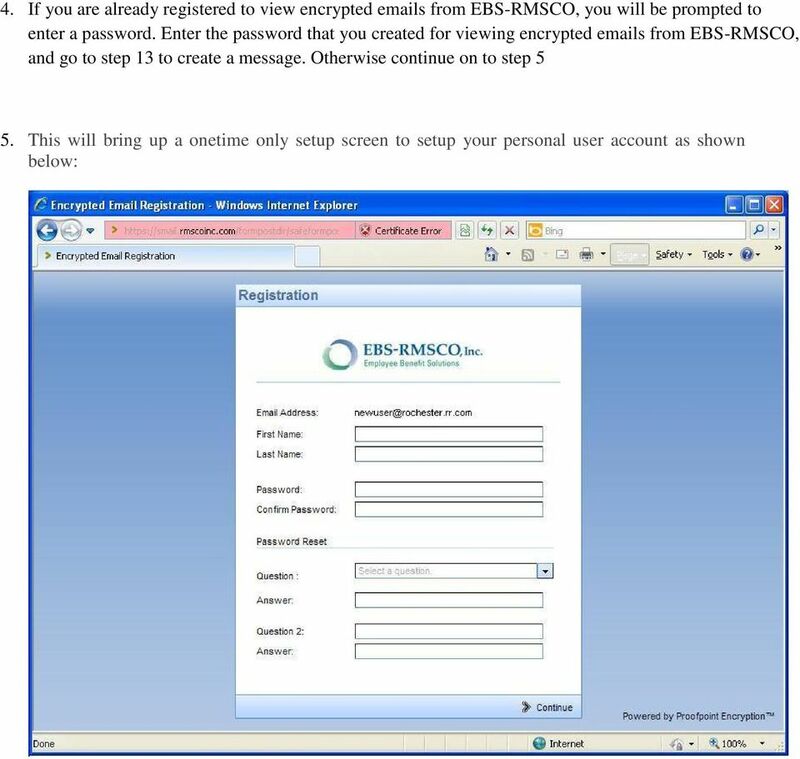 Click on Logout to exit, or New Message to compose another message to an EBS-RMSCO employee. 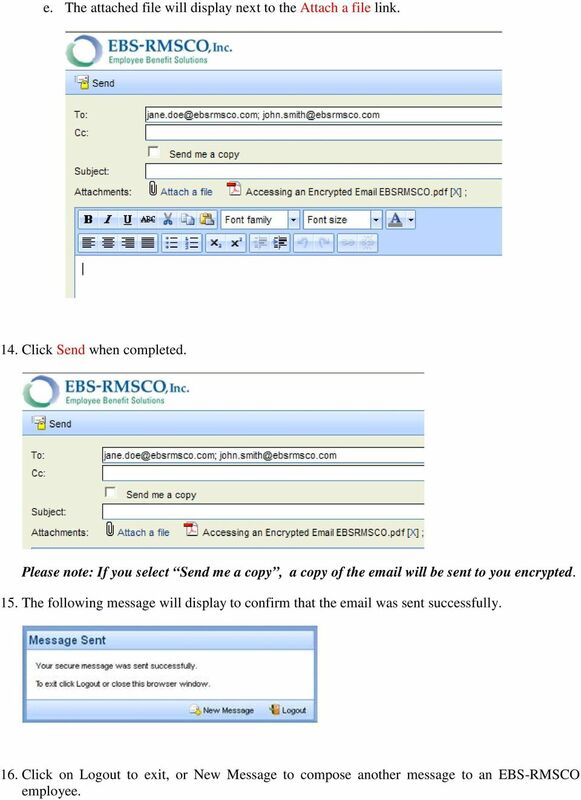 Receiving an encrypted email from Simplyhealth Simplyhealth uses Proofpoint email encryption services to send / receive encrypted emails and this document is a step by step guide on how the system works.